Penn Medicine Princeton Medical Center. The Princeton HealthCare System officially joined the University of Pennsylvania Health System Tuesday, making good on an intent to partner dating back to 2016. 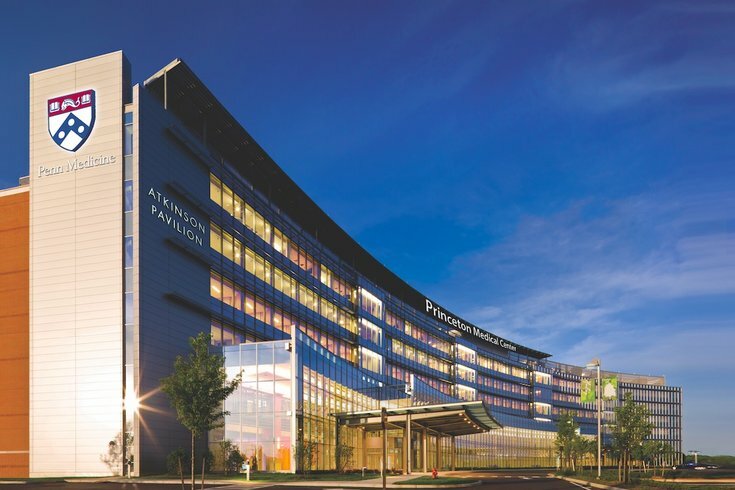 As a result, Princeton will adopt Penn branding for the names of its various medical centers, with its system now known as Penn Medicine Princeton Health. The hospital will now be known as the Penn Medicine Princeton Medical Center. Likewise, Princeton has bid farewell to its old health facility logos and adopted the blue serif font of Penn Medicine. Below is a preview. The new Princeton health logos after joining Penn Medicine. The transaction includes all PHCS affiliates, including Princeton House Behavioral Health, Princeton HomeCare and the Princeton Medicine physician network. “PHCS has an impressive reputation for providing high-quality health care to patients close to home, and innovating in many types of community-based health and wellness initiatives,” said Ralph W. Muller, CEO of the the University of Pennsylvania Health System, in a statement. Penn became Princeton’s top choice for collaboration after Princeton evaluated several options, finding Penn’s financial position and technology expertise. In 2016, when the intent to partner was first introduced, Princeton’s Board of Trustees felt a collaboration of this nature would be the best choice to ensure and sustain PHCS for the long-term. “Our Trustees engaged community members, physicians and employees in a thorough, two-year process to evaluate and select a partner,” Kim Pimley, chairperson of the PHCS Board of Trustees, said in a statement.